Interlocking pavers create style, color and eye-catching patters while providing a durable and long lasting surface. Interlocking pavers form a patterned surface which can be put into service immediately soyou won’t have to wait before you can drive or walk on your new home improvemen. Interlocking pavers provide a beautiful backdrop for your home improvement projects that are not only visually appealing but functional as well. For over 50 Years, Van Midde and Son Concrete has been helping customers in Marin County, Sonoma County and San Francisco beautify thier landscapes and add value to their homes with everything from high quality concrete pades to interlocking pavers. Pavers can be used to create a paver retaining wall that is stunning to look at and sturdy. Concrete interlocking pavers are resistant to weather damage and more cost effective than other types of building materials such as wood beams that rot and decay quickly. The solid construction of an interlocking paver wall keeps drainage from seeping through unlike wood or joints in metal constructions. Interlocking pavers also make great foundations for raised garden beds that will be reusable year after year. For a dazzling driveway interlocking pavers can’t be beat. Professional installation of a paver driveway in any number of designs created by Van Midde and Son Concrete will ensure that you not only have an elegant entranceway, but one that stands up to the heavy traffic and remains beautiful through years of use. Proper installation of any concrete paver project is vital to its durability and good looks. Van Midde and Son will make sure all of your construction projects are handled with the utmost in care from beginning to end. We excavate and grade your foundation surface to provide a superior setting for your interlocking pavers so there is no shifting, buckling, or cracking and make sure drainage is situated so that your pavers will not crumble under the weather and water is safely moved away from your home. Interlocking pavers create visually enticing footpaths and patios as well. They give your entertainment areas a stylish appearance so that you and your family can relax and enjoy the company of friends. Many paver projects can be completed quickly and make your old home look fresh and new again. 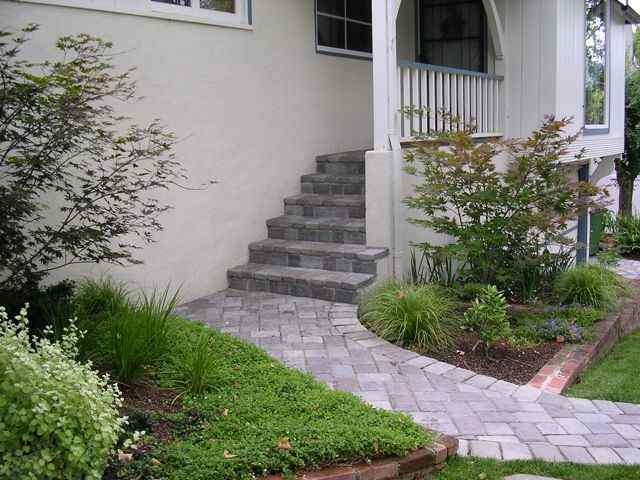 Interlocking pavers are excellent for stairs and porches, and many other projects that add value and class to your existing home. From sports courts to poolside relaxation and walk areas there are hundreds of ways the interlocking paver can add to the beauty of your home and its surroundings. Van Midde and Son Concrete professionals are dedicated to providing the very best and their years of experience and knowledge can help you plan and develop your home repair and improvement projects to make your home or business a true showplace. It can also be noted that concrete pavers come in many shapes and colors. There’s a virtually unlimited combination of solid and blended colors, shapes and laying patterns. Most importantly, when properly installed, pavers require practically no maintenance and are easy to repair and replace. 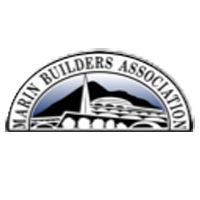 Located in San Rafael, Van Midde and Son Concrete installs interlocking concrete pavers in Marin County, Sonoma County and throughout the San Francisco Bay Area.